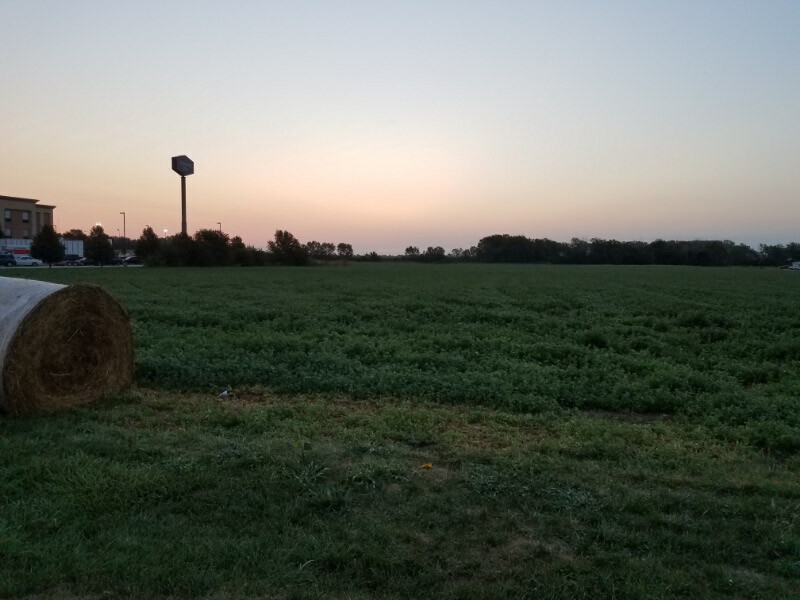 We were in Nebraska for two mornings and I was up for the sunrise for both. The first morning was the day of the solar eclipse. We got an early start because we knew we had to drive west to get out of the clouds. 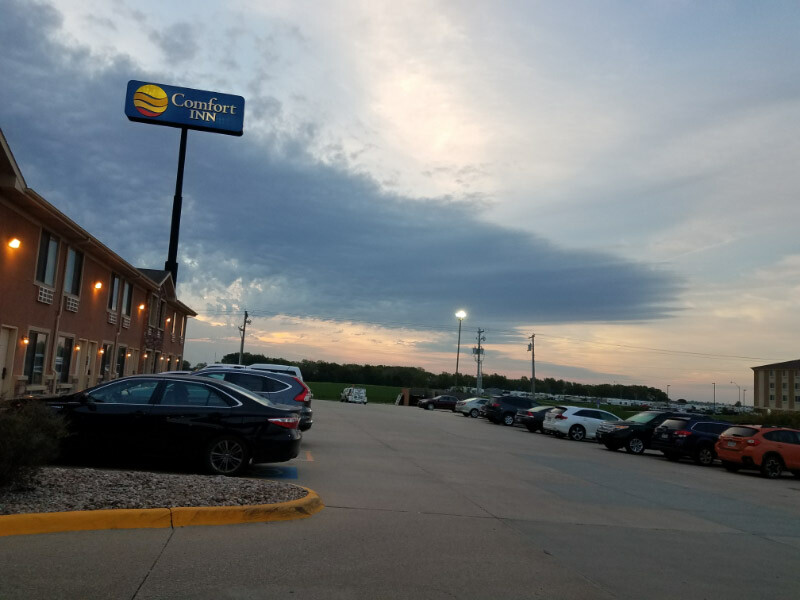 Our hotel in York, Nebraska was full of people around for the eclipse but many were hoping to stay in York and hope for clearing. The next morning, we were heading east toward home. I walked to the edge of the parking lot for this picture. A few people had left the day before but there were still quite a few people at the hotel breakfast getting an early start on their trek back to where they came from. 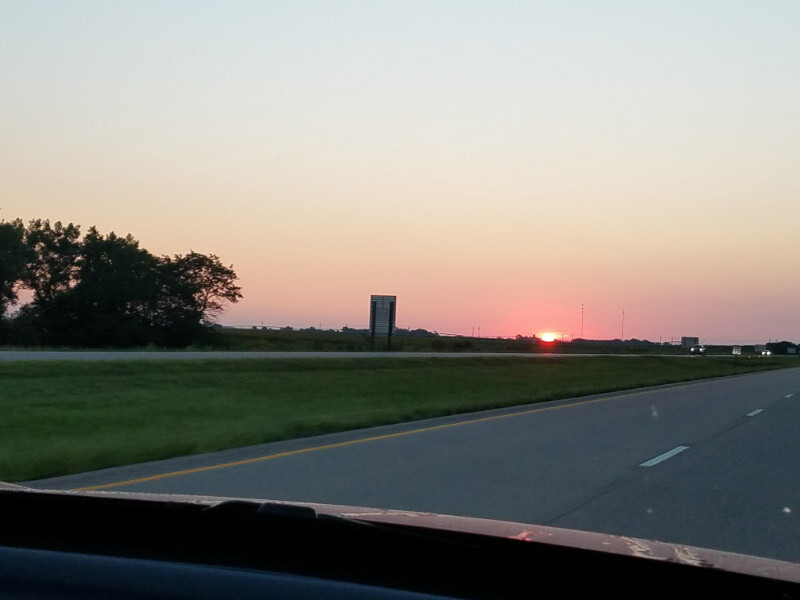 Once we were in the car – I noticed that the sunrise was very colorful. 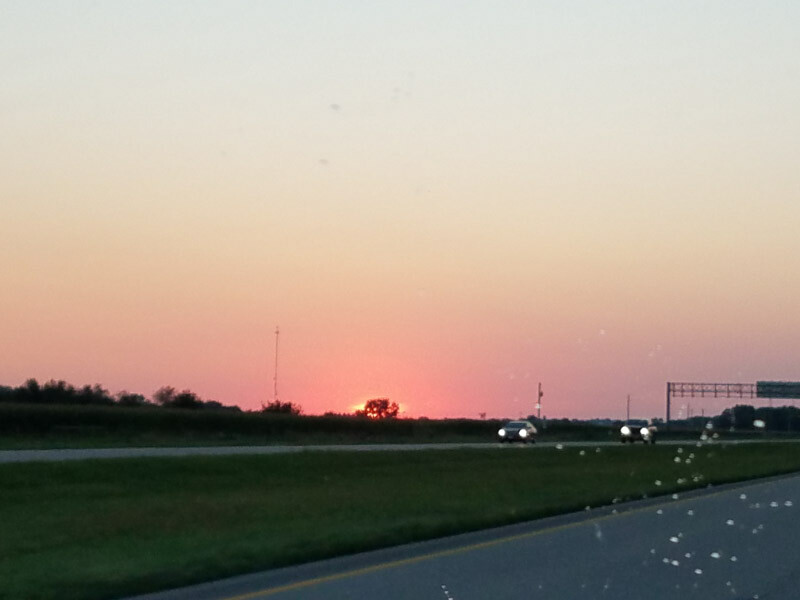 I wished the dew was cleared better from the windshield…but couldn’t resist the ‘on the road’ sunrise pictures! As always – watching the sunrise is a wonderful start to the day. 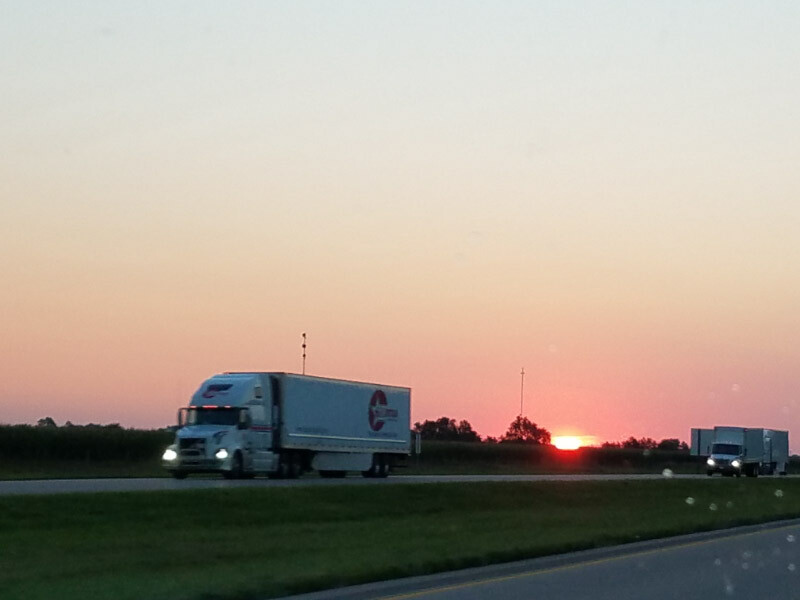 Previous posts about our Solar Eclipse trek: Road Trip to Nebraska for the Eclipse, Indiana Dunes National Lakeshore, Solar Eclipse – August 2017.